The Liberman book “The Artist in His Studio” features a very style series of Picasso photos. In the images Picasso is wearing a blue dotted shirt buttoned all the way up. When I saw this guy I had a vision of Johnny Depp doing a very surreal homage to Picasso and his fascinating life. 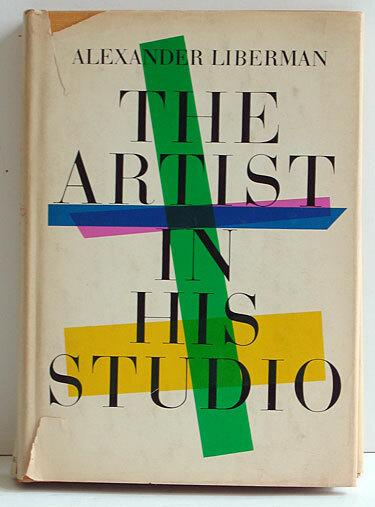 I have just realized this is the second time this month I have referred to the Liberman book ” The Artist in His Studio”. It is really great and very inspiring. I seems to me it would be a must have for any designers inspiration library. I will definately check this title out, I’m always looking to expand my library. Thanks for the tip. Take care and congratulations on your successful year. 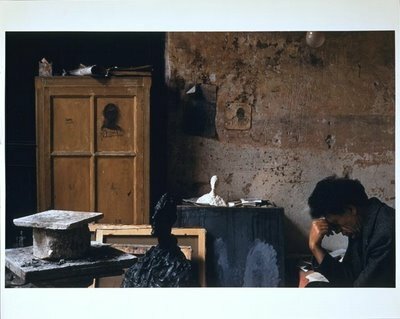 Starting the year with Giacometti is very inspiring because you can see that there were only the artist and the photographer. This is why you’re pictures and comments are great Sartorialist, one on one, touching more than 1 million of us individually. Have a great year. I’d love to be in that room, just once. Not to turn this into a discussion of politics or anything (this blog is lighthearted and fun! ), but I find the title of this book to be entirely sexist! Women are artists, too. The book was written quite a while ago and at least one woman artist is included. That said, it would be great to see an updated version. I didn’t like that title at all until I read these comments and saw that the glaring (and hurtful) gender omission was acknowledged and a new book proposed. I like your readers, Sart. Doing The Artist In Her Studio is a wonderful idea! Maybe someone will read madameshawshank’s suggestion and make it happen. 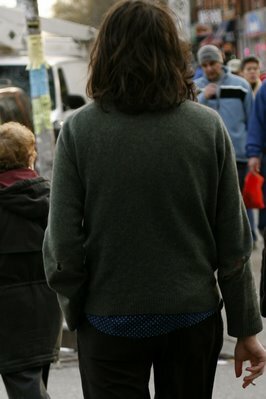 You just have to go to Sweden, they are so incredible trendy and you will find so many refreshing looks!!!!!! Go, go….. I have an old paperback copy of this book, which I think I picked up at a thrift store or garage sale. I haven’t looked at it in ages, but you’ve inspired me. It was originally published in 1960, hence the antiquated title. My edition is from 1968 and has only black and white photos except for a couple of Picasso. Also says, ‘Portions of this Book Appeared in Vogue’. I am always stunned by the beautiful photos, inspiring stylish people and nice comments on your blog! Then I saw that you might come to Sweden, GREAT! Don´t forget to visit Malmö in the south, a lot of different styles and diversity. Looking forward to a great 2007 with your blog! 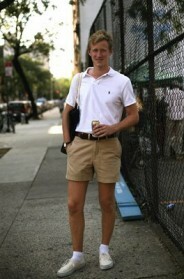 You’re a bad influence Sartorialist! Thanks to you, I just bought a first edition off the web because the book is out of print. I work in an art related field so I know I will love it and also because you suggested it! I love how mysterious this photo is. It would be great to see more fashionable backsides, so that the viewer can create their own vivid concoction of what the frontal view may look like. Installation maybe? that looks like a cool book!! Another among the other trusting Sartorialist bookbuyers here, I bought a 1997 hardcover copy tonight at Half.com. “Like New” for $28.99, I’m happy to report. Okay, I admit I checked the reviews at Amazon too. Thanks for sharing your passion, Sart. I’m looking forward to having this book in front of me soon. This is one of the most infulential books in my life. I was a sort of special assistant to Alex when he revised this book. He had to look at millions of photos he had taken of all the artists. No one should ever forget how important this man was to Art Direction, Fashion, Fine Art and Photography. He was a great man who always asked you what you thought about a photo or a layout..I adored him. Thank you for reminding me of him again.